I am a Lancashire Commercial Photographer, covering architecture, portraits, landscapes, events, weddings and wildlife. Enjoy! Like a chat about details & photography prices? I am a Lancashire Commercial Photographer who resides in the west pennine moorland of Rossendale (near Manchester). So I primarily work throughout the North West also covering the Lake District, Yorkshire and Cheshire. However I have been known to work further afield throughout the UK. If you have a look around this site, you will find there are some other sides to my work. 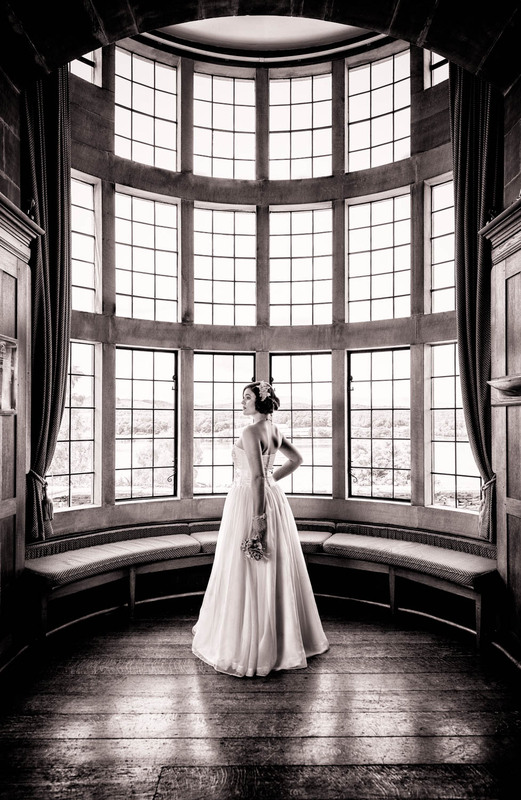 I do wedding photography and architectural photography with increasing popularity. My wildlife photography is more of a hobby, but is gaining recognition throughout the UK under the brand name of The Puffin Man. So whichever photography service you may require, whether it be wedding, commercial or event, you will find I am quite adaptable when compared to other professional photographers! Remember that although I am a Lancashire Commercial Photographer, I do cover Rossendale, Manchester, the Lake District, Yorkshire and Cheshire. In November 2016, I was made an Associate Level member of the British Institute of Professional Photography (BIPP). Being a Rossendale based Lancashire commercial photographer with a Birmingham heritage means my style can be quite quirky but adaptable. Therefore I have several photographic styles depending on what the subject matter is. Listed below are my photography services that go into a little more detail. My commercial photography has several sides with events photography being the new addition, which is set to increase in 2018. Please read on! Although wedding and wildlife photography has been increasing, I am primarily a Lancashire commercial photographer. In fact, I would say that this is my original area in professional photography, going back fifteen years. The areas of commercial that I do are quite broad. This is advertising, events, products, places, staff, buildings and architecture. Anything goes as I have photographed many things from livestock trailers to wounded teddy bears! Event photography is an area that I will be looking to expand in 2018. Considering my history as a wedding photographer, it makes sense to increase this service in commercial photography. After seeing the level of some photographers in the event field, it’s time to enter this part of the commercial arena and try and spice it up! To see some of my commercial work, please take a look at my Commercial Gallery here! “Chris was amazing from start to finish! We wanted beautiful, candid shots that would capture the real emotion of the day. More reviews and testimonials may be found here! You might say that I silently capture fantastically natural and magical moments, while you get on with enjoying your big day! As a Rossendale based Lancashire wedding photographer, my style is mainly about documentary or reportage photography. So I keep out of the way while observing what happens. The results are different every time with a fantastic collection of wonderful images! My BIPP recognised wedding photography service has gained a reputation for excellence at reasonable prices. Being based in Rossendale enables value that is very competitive compared to other north west wedding photographers on a similar level. While high quality photography should never be given away, it doesn’t mean that it should cost the earth either! Remember that my wedding photography service covers Rossendale, Lancashire, Yorkshire, Cheshire, Manchester and the Lake District. I also have bases in Durham, Birmingham and Whitby. To see more details and wedding photos, go to my Wedding Gallery here! Architecture is a commercial photography area where I have been increasingly busy, especially in 2017. So much so that I have given a special section to it. Taking photos of buildings has become quite a passion. I look for interesting angles and how the light bounces off the surfaces, giving lots of contrast. Then I tend to produce the image in my own black and white fine art style. This gives a final mood boost resulting in a much bolder image than other commercial photographers normally create. A commercial photography project in 2017 saw me travelling round the country. I covered various cities around the United Kingdom. It was a whistle-stop tour, but still good fun. I got some surprising results with some very powerful photography. Not bad considering that I had little time to really dig in on specific details. You will see some examples in my Architecture Gallery here! Wildlife photography takes up some of my time in the spring and summer, especially during the puffin season. Here I have gained a reputation as a character driven wildlife photographer with awards to match. Several years ago, a trip to see some puffins at the Farne Islands changed my life. These funny little creatures would forge a way in to my heart that was so strong, I have been every year since. My taking to this side of photography has been like a puffin to water! Probably it is because my approach to wedding photography is very similar. Quick off the mark, constantly observant and always looking out for the quirky. The Farne Islands is a paradise for wildlife photographers, with thousands upon thousands of birds to watch. The trouble is that during peak spring time the amount of photographers can rival the number of birds! I still go there every year, but now I prefer Scotland in the constant search of my ultimate wildlife photography image. The Isle of May is my favourite place now as there are not too many photographers! The Scottish Seabird Centre in North Berwick sell my images as cards and booklets. To see some of my wildlife photography, take a look at my Wildlife Gallery here!